Dr. Likey has been using spiritual/metaphysical/Pranic Healing techniques for the mind, body, and soul of his clients for many years. 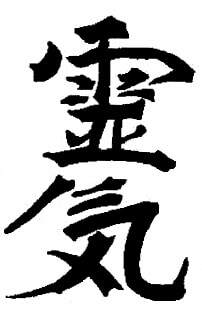 Another word for "Prana", "Chi", or "Ki" is life-force energy, or God/spiritual energy. The client merely lays down or sits during these light-touch treatments, experiencing a sense of peace and well-being while wellness occurs on all levels. No discomfort on any level is experienced by the patient during the treatments, which take about an hour. Similar to Prana is Reiki. Another word for the Japanese word "Reiki" is the Chinese word "Ling Chi", again, God's healing-energy but unlike the Sanskrit-based/Ayurvedic Pranic Healing, Reiki is based in ancient Taoist and Buddhist Japanese traditions. As with Pranic Healing, Reiki promotes wellness on all levels, and is easy for the client to experience as well. They merely sit or lay down, and enjoy. Essentially, Pranic healing is based in thousands-year-old Ayurvedic medicine, and Reiki is based in ancient Japanese/Buddhist/Taoist healing techniques. "I began my Reiki journey as a Western Reiki Practitioner: I was initiated into Reiki by Susan Fisch of Hemmingford, Quebec (about 45-minutes from my home-city of Montreal, Canada) and received my Master-Level in 2002. I believe that receiving the initiations into Reiki, in addition to my regular practice of mystical meditation for almost 30 years, encouraged the unfoldment of my true soul’s purposes; it is my hope that I can now facilitate that growth and healing for you. With the Reiki workshops, you get the techniques, attunements/empowerments, practice, my book, "Master Reiki", and a certificate. Reiki is a lot easier (though more involved) than Pranic healing because once you're attuned to Reiki, you can just stand there and hover your hands over the recipients, or even just "beam" it at your clients." "I was certified in Pranic healing through the University of Metaphysics; in fact, I earned my D.D. (Doctor of Divinity Specializing in Spiritual Healing) in 2007 through the U of M! I've also taught/certified people in this. You get a manual/folder, a certificate, and I do it in 3 half days. We start with Pranic breathing, which is healthy and healing in itself, and numerous other breathing techniques, which are relaxing and healing as well. The practicum is quite rigorous/physical, as each student practices on each other doing Pranic breathing and broad as well as focused gestures. Pranic healing, is physically more taxing than Reiki. With Prana, there are no attunements, you just are taught the techniques, and must practice them and the breathing." One-Hour Healing-Session (Reiki or Prana): $200. Learn Pranic Healing Techniques and be certified: Three half-days: Total=$500. ​Learn Reiki System, Reiki Healing Techniques and be certified: Three full-days, Level 1 first day, Level 2 second day, Level 3 third day: Total=$800. "My back hurt for years, until after a Reiki-treatment; I can now enjoy life to the fullest." "The Reiki was an amazing experience." Reiki: A Legitimate Healing Modality was the dissertation which earned me my Doctor of Divinity. (D.D.) Detailed research outlining the true origins of Reiki, the energy and the system, along with comparisons/differences between energy-systems are included within the pages of this academic treatise. Master Reiki by Dr. Michael Likey is the complete handbook and training manual for the Reiki student, practitioner, and layperson alike. Containing years of research on the true history of the energy and the system of this Buddhist and Taoist-based self-healing system, this book will guide you into a history and practice rich in tradition. Join Reiki-Master Dr. Michael Likey on your journey into personal-growth and spiritual evolution! The book is not a substitute for the direct initiation process referred to as an attunement/empowerment/Reiju; you cannot practice Reiki without first being attuned to its energy in order to be able to channel it. However, once you receive your attunement(s) from a qualified Reiki-Master such as myself, you will find the book an indispensable guide to the ancient healing art. Remember, too, that healing and medicine are two very different disciplines: therefore, the information in the book is not medicine but healing, and does not constitute medical advice. In case of serious illness consult the practitioner of your choice, preferably a competent health care professional. Reiki and Pranic Healing is not a substitute for, nor should be mistaken for conventional medicine. Always seek first the guidance of your healthcare professional before endeavoring to add complimentary medicine/alternative-wellness to your conventional healthcare regiment. Advice and instruction on alternative-wellness techniques herein such as hypnosis, meditation, scientific-prayer, etc. as well as lifestyle suggestions, vitamin intake, etc. are for explanation purposes only and are not substitutes for, nor should be mistaken for conventional medicine. It is believed that Usui sensei, while performing his empowerments/attunements/"reijus", had other Shihan (masters) sing and chant, among others, the Blue/Lapis Lazuli/Healing Buddha chant in order to raise the resonance in the room. Here, in two audio-formats, (wav and mp3) is that chant in Japanese. Feel free to upload them/make an audio CD/digital recording for use when you are performing empowerments.